Editor’s Note: The Hawai‘i State Legislature is currently debating an increase of the State’s minimum wage, currently at $10.10. Raising the minimum wage in Hawai‘i is one of the priorities in the legislature this year. On January 31st, 2019, our Junior Honors Seminar class attended the hearing at the state Capitol for Senate Bill 789, which we hoped would raise the current minimum wage from $10.10 an hour to $17 an hour. The state’s own Department of Business, Economic Development, and Tourism has studied what it takes to get by in Hawai‘i and they tell us that a single person with no kids needs to make at least $17 an hour to survive. Yet businesses are allowed to pay workers almost $7 less than that per hour. How is that possible? While my classmates and I were waiting for our chance to testify, we got to experience the inner workings of the legislature to get a bill passed, and we heard other people’s testimony. Some were plain and simple. Others were moving and powerful, and the stories stuck with me even after the hearing was over. A tall, slim man testified about his work at the YMCA. He explained that raising the minimum wage would be very helpful both for his fellow workers and the community. The workers make possible the swimming lessons and all the other great programs YMCA offers. He talked about the 70-year-old grandfather who works in the maintenance department at the YMCA. He recalled the times that this grandfather borrowed money from him because he just needed a little extra cash to get by. He had been on the job for many years but was still struggling and would keep struggling unless we improved the minimum wage. The testifier was very aware of how embarrassing it was for this elderly man to borrow money from his young colleague. His testimony made me think about my grandfather. He too is in his 70s, and it is tough for him to do a lot of things. So I can only imagine how hard this grandfather has to work to make a living for himself and his family. The other testimony that I found significant was given by a woman, who is an alcohol abuse and mental illness counselor who had traveled from Hawai‘i island to attend the hearing. She narrated the story of a single mother who had committed suicide because she saw that as the only way to give her children a better life. After tirelessly working two jobs to support her kids, she felt she could no longer provide for them. She thought by committing suicide her kids would have a shot at a better life by being admitted to the foster system. This was a heartbreaking moment because this is really the reality we live in: that people have to work two full-time jobs just to survive and meet their most basic needs in this very expensive place we call home. I think about my aunty on Maui who dreams of starting a family soon. She and her fiancé are both working two full-time jobs in Lahaina. Due to the ever increasing cost of living, they could no longer afford to live on their own and moved in with her fiancé’s family. In this type of reality, her dreams have to be put on hold. This is the story of many of my family members from Maui to O‘ahu and many working families in Hawai‘i. We came to Hawai‘i in search of a better life and we find ourselves in the same predicament that we were in our home country. As part of the younger generation, we always hear that we will be the ones that will change the world one day. However, I will not be able to change the world or contribute anything of value if my financial struggle to survive consumes my energies throughout the day. I am a full-time student and work part-time on the weekends. My hourly wage is a few cents higher than the minimum wage and it is not enough for me to live on. So I can imagine what it is like for workers with a family to support. While I was a student journalist in high school, I interviewed a single mother who worked two jobs and was houseless. How could we let this happen? We have the highest cost of living in the United States so it is essential that we have this living wage now. It would undoubtedly help working families and enable young people like myself to consider the possibility of staying and raising our families here in Hawai‘i. One thing is for sure: the homeless encampments send a strong message: too many hardworking people are not earning the “wages of decent living.” I hope lawmakers get the message and enact a true living wage this year, one that is automatically adjusted as the cost of living goes up so. In this aloha state is it too much to hope for wages that will allow our friends, family members and neighbors to get by without the heartbreak and the constant struggle we heard so many testify to at the Senate hearing? It’s past time for a living wage. 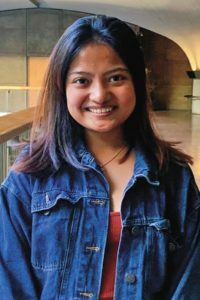 Ma Glodilet Rallojay is an Honors student at the University of Hawai‘i, M&#257;noa. She is a Political Science major. 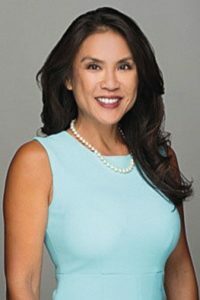 With a minimum wage increase at the forefront at the legislature, here’s why the Chamber of Commerce Hawai‘i does not believe an increase will alleviate cost of living issues. We support efforts to address the high cost of living in Hawai‘i. Increasing the minimum wage, however, will increase the cost of doing business, which will be passed down to consumers. Minimum wage is not meant to be a living wage, but a wage at which companies can bring in unskilled workers and afford to train them until they build their skill level and earn increases, rising to the level of a living wage. That is how businesses retain employees, especially in this tight labor market. Living wage takes into consideration size of household and the cost of food, childcare, healthcare, housing and other necessities. A hike in minimum wage also forces other wages within a company to increase. Otherwise, a more experienced employee will earn the same amount as a newly hired employee, creating an inequitable pay structure and morale and retention issues. However, escalating costs will have a substantial impact which could hurt the very people we are trying to help. Healthcare is another important consideration. Hawai‘i is the only state in the nation requiring employers to provide healthcare to employees who work 20 hours or more per week. Employees pay 50% of the premium or 1.5% of their wages, whichever is lower, with business owners paying the difference and some choosing to cover the entire cost. We all agree that cost of living issues need to be addressed, but we do not believe that raising minimum wage is the solution. Let’s work together to find ways to lower our cost of living and build a better business climate.